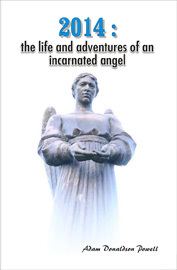 2014: the life and adventures of an incarnated angel (excerpts). 2014: THE LIFE AND ADVENTURES OF AN INCARNATED ANGEL. Many Terrans are still approaching the future with fear and trepidation. It is not too late to realise that our past, our present and our future are of our own creation, at every moment and through each thought, action/non-action and word spoken. 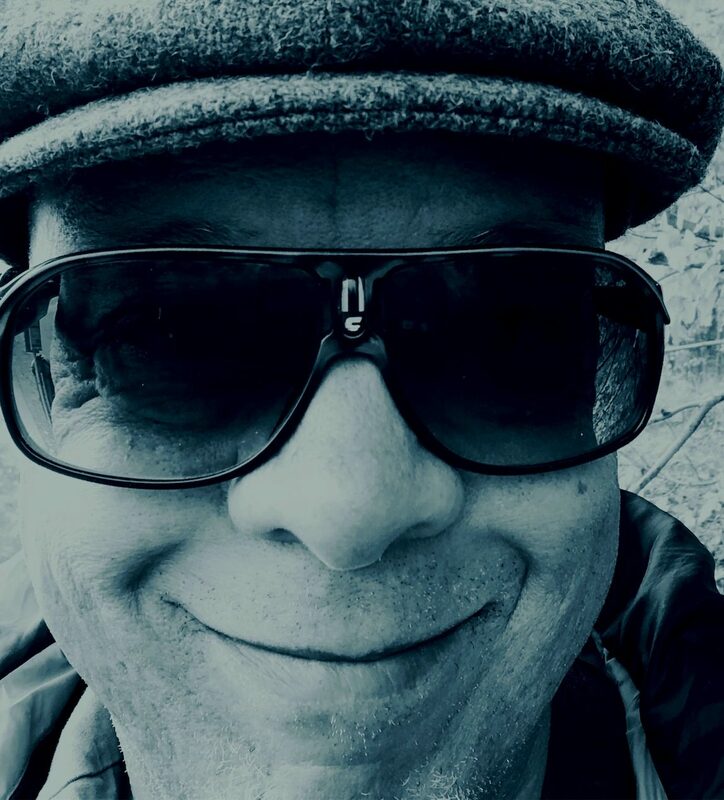 And that – through the exercise of multi-intelligence (cognitive intelligence combined with intelligence of the heart and of the soul), and understanding that it is the illusion of separation (reinforced by greed for materialism and power) that maintains our fear-based galactic culture – we can, in fact, determine our present and our future … both individually and collectively. “2014: the life and adventures of an incarnated angel” is a work of fiction, depicting one possible reality that we can create. It is not meant to be a prophecy that we should self-fulfill, nor is it written for entertainment value alone. It is designed to provoke reflection. The solutions are only to be found in each and every one of us – beyond the illusions and distractions of individual and collective separation. ‘Kodoish, Kodoish, Kodoish Adonai T’sabaoth’. 2014: the life and adventures of an incarnated angel by Adam Donaldson Powell, reveals Powell’s creative power at its highest. It is full of a depth of philosophy and sublime vibrations of conscience, the irresistible desire for ‘Eternal cities of Universal light’. Like the wind purifying the woods, Powell in this extraordinary book persistently writes with spiritual and mystical gusto. Powell is a very great literary genius directed towards reviving our soul state. CHAPTER ONE: GA … AND KRISTIANIA, AN ETERNAL CITY OF UNIVERSAL LIGHT. Ga felt a tear welling up in his right eye as he surveyed the ruins of the physical city below. He and ’Ifafi, his colleague, were on duty and had descended through the vortex from the Eternal city of Universal Light above the Oslo fjord to patrol and oversee the goings on below amongst those who had not ascended. It was always a bit emotional for Ga to return to Oslo – although he had learned the lesson of detachment, he still retained an empathetic affection for the naive romantic disillusionment of humanity. He thought of their fellow angelic guards from the Seventh Heaven and the Seventh Heavenly Palace (Adiel, Heikhali, Afafiel, Tutrbebial, Pahadiel, Agkagdiel, Lifton, Mufliel, Gehirael, Shalhevita, Hukiel, Amilfaton, Asamkis, Halelviel, Ashkanizhael, Atrugiel, Egion, Gedudiel, Aviel, Gehorey, Geroskesufael, Iboriel, Lehavah, Pasisiel, Sarafsion, and Zeburial), who also were stationed at the portals to the various eternal cities of Universal light above Terra. He had chosen Scandinavia and Europe as his preferred centres of assignment for this tour of duty – one of the most honourable appointments since the apocalyptic Intervention had taken place just a short time before. His memories of his life on Terra previous to his ascension were fully intact … and he also remembered clearly his incarnations prior to the last one. Walking through the broken streets of his old neighbourhood, Frogner, he and ’Ifafi found their way to his old apartment – not far from the city-side edge of the fjord. Despite the darkness and the desolation, the memories of watching from above: the fireballs hurtling across the skies for days on end, the constant tremors of the continental firmament and the futile screaming and panic of the residents, Ga truly desired to re-visit his abode from the past quarter century. He was glad that ’Ifafi had come along, as ’Ifafi shared his love and support freely … but never interfered with others’ private thoughts. They rarely spoke in the new Merkabah-tongue (the newly reconstituted intergalactic language of angels), but used their perfected telepathic communicative abilities to always be in “the know”. Ga was in search of déjà vu moments – mementos of experience that held significance in the incarnated soul’s process of development. These moments of remembrance were imprinted into the soon to be incarnated soul to remind the being that he or she is on the correct path … they were triggers and messages of support and acknowledgement from the various parts of one’s soul, parts taken along to Terra and parts left behind in the Interlife. The light beaming from Ga’s third eye quickly led him to the box he was hoping to still find in the cellar of the abandoned building, now consumed by darkness and stillness. The symbol of Ogun is the sword, and Ogun is (like Ganesh) also the Lord of Obstacles … using his sword to cut away everything that stands in the way of your spiritual progress, and opening the doors to creativity. Forces of Nature are like people sometimes. To work with them requires a very special kind of respect, understanding, and consciousness. Be willing to listen, and to see. Bless you and good honouring. CHAPTER THREE, PART THREE: THE DECLARATION, AND A THREAT FROM THE EMPIRE OF ORION. “Quei!” (What! ), replied ’Ifafi in the new Merkabah dialect, still groggy and rubbing his eyes while scratching an itch under his left wing. “We (or at least I) need to find out more about the entities and races involved in this intergalactic process – especially the Empire of Orion. We need to be prepared for whatever can happen,” said Ga.
“Relax, my love. Que sera, sera. Det vet du. We cannot do anything to change fate,” replied ’Ifafi, trying to pull Ga back onto his wings. “Don’t even go there,” said Ga, planting a wet kiss on the broad and fleshy lips of ’Ifafi … and then promptly licking his ear lobes and neck. Ga began tickling ’Ifafi under his armpits – the most ticklish place for ’Ifafi (and most angels), except for possibly between the third and fourth toes. “Ha ha … stop! I give up! I will get up. Ha ha … hee hee hee. Nå skal du få igjen, du!” squealed ’Ifafi as he began to tickle Ga.
Ga immediately arose and called food services to make an order for a light breakfast, and then he quickly began getting dressed, modestly turning his back to ’Ifafi. ‘The Empire of Orion consists of entities who adhere to the Light and the Darkness, and whose centres of power were originally based at two competing star systems. After many wars with the Intergalactic Confederation over hundreds of thousands of Terra years, the Orions were essentially beaten back into a position where their aggressiveness had been contained to their own galaxy – giving relative peace to their neighbouring galaxies, but not necessarily to their colony: Zeta Reticuli. They had, however, achieved a long-lasting peace agreement with both Vega and other neighbours. Basically, the Empire of Orion was at the same level of spiritual and racial transformation as the inhabitants of Terra – slowly moving into the fourth and fifth dimensions. Ga shook his head in affirmation, saying: “Yes, exactly. And there is no reason to think that the proposal will not eventually go through the General Assembly. I am quite certain that it will receive the full approval of the Security Council. Vega and Sirius could try to stalemate a quick decision, mostly because of Vega’s trade agreements with Orion … and Sirius’ current strong anti-war stance – but, from what I hear, a proclamation inviting Zeta Reticuli into the Confederation is essentially a ‘done deal’. And both Vega and Sirius will be ‘won over’ if Kartion’s suggestion to offer the Empire of Orion membership as well is approved. They continued to read countless internal documents and studies of various civilisations that could play a major role in the conflict, including: Alpha Centauri, Lyra, Vega, Zeta Reticuli, Sirius, the Pleiades, Arcturus etc. “Adonai,” repeated ’Ifafi, revealing a solitary teardrop quickly streaming downward from his right eye – but which did not cool his burning cheeks as intended. The emotion that he felt at that moment was undeniable and could only be soothed once acknowledged. The reactions from the Confederation member states and from Zeta Reticuli were quite positive, but there was (at first) merely silence and a cold front as the only reaction from the Empire of Orion. But that silence soon gave way to an exchange of bickering and threats, between the leadership on Orion and the Intergalactic Confederation Command. This was a ‘normal reaction’ that was not unexpected, however – the Empire of Orion sent a couple of spaceships armed with lasers both to the galactic borders of Zeta Reticuli One and Zeta Reticuli Two … AND attacked an Arcturian scientific spaceship outside of the galactic borders of Vega. This was, of course, a serious offence … causing disharmony and tension amongst the members of the Intergalactic Confederation. After several crisis meetings, it was decided by the Security Council that a super battalion of spaceships from Terra, Arcturus, Alpha Centauri and the Pleiades would protect Zeta Reticuli and Arcturus, and afterwards confront the Empire of Orion on its own turf. Vega, under pressure from its Confederation co-members, also eventually agreed to participate in the action after much diplomatic activity. The entire Command of Angels was put on high alert, and Ga and ’Ifafi were given the responsibility of organising the military effort under the diplomatic command executed by Kartion. CHAPTER THREE, PART FOUR: CONFRONTATION. All eternal cities of Light on Terra were buzzing with activity. The entire Intergalactic Confederation was on high alert. Ga and ’Ifafi had their hands full, cooperating with military and security command managers on Arcturus, Alpha Centauri, the Pleiades, Sirius, Zeta Reticuli and Vega – regarding the organisation of a number of spaceships to participate in the action. Some had the function of protecting the Arcturian scientific spacecraft which had been attacked, and escorting it back to Arcturus. Others were put in position to patrol their own planet’s galactic borders … and Sirius, Terra, the Pleiades and Vega sent vessels to warn the Orions away from the galactic borders of Zeta Reticuli One and Two. These fleets were commanded by Kartion. ’Ifafi was surprised at the crudeness of the response from Kwiføw, but Kartion and Ga seemed to be rather relaxed about the threats. It was agreed that Ga and ’Ifafi would lead the first incursion upon the Empire of Orion, a large battalion of higher-level angels surrounding the main cities and military installations – taking them by surprise, simply by utilising their abilities to shift density. Ga had already called upon and organised his fellow angelic guards from the Seventh Heaven and the Seventh Heavenly Palace: Adiel, Heikhali, Afafiel, Tutrbebial, Pahadiel, Agkagdiel, Lifton, Mufliel, Gehirael, Shalhevita, Hukiel, Amilfaton, Asamkis, Halelviel, Ashkanizhael, Atrugiel, Egion, Gedudiel, Aviel, Gehorey, Geroskesufael, Iboriel, Lehavah, Pasisiel, Sarafsion, and Zeburial, as well as his colleague on Terra: Lysiel. “They will never know what hit them,” said Lysiel to Ga.
And with that the three friends quickly embraced each other, saying: “Adonai!” … and quickly ran off to assemble their units. THIS BOOK IS CURRENTLY AVAILABLE FROM CYBERWIT AND AMAZON.COM. ORDER IT AT AMAZON KINDLE BOOKS! Previous:Another excerpt from “2014: the life and adventures of an incarnated angel”. Next:Selected reviews of my published books.